Listen Now: Who’s Teaching the Babies? The Church nursery is about the last place any spiritual nurturing goes on. 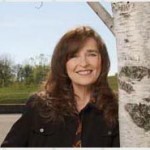 So God spoke to Dr. Melodye Hilton with an unheard of and unprecedented mandate to teach and train the babies. He specifically told Melodye, “You are not to baby-sit, but to teach the uncompromising Word of God and you are not to have any toys in the Nursery.” We took what He spoke to us seriously. ever published, called “Who’s Teaching the Babies?” We’ll find out is it really possible to teach babies the scriptures and what it looks like. We’ll hear testimonies of young people who had this foundation in their lives. Melodye discusses the hot topic of deliverance for small children, why they may need it, and how to do it in a peaceful non-threatening way. 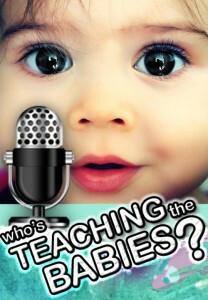 Click here for a FREE Download of this radio show “Who’s Teaching the Babies?